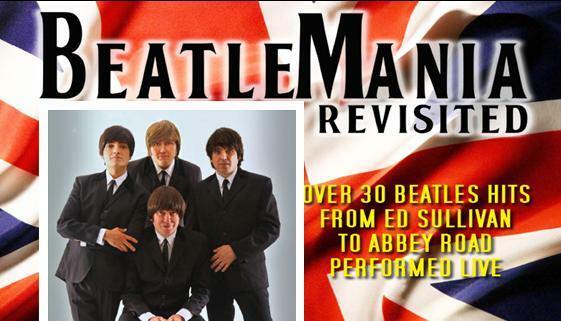 Beatlemania Revisited captures the look, the sound and the excitement of The Beatles live in concert! All songs in the Beatlemania show are performed “note for note” by this amazing international ensemble who are further augmented with incredible costumes and vintage instruments to truly capture the spirit of the Fab Four. The evening kicks off with their famous 1964 appearance on the Ed Sullivan television show and follows The Beatles through their entire career with numerous costume changes including the Sgt. Pepper and Abbey Road eras. Musical highlights include “I Wanna Hold Your Hand” “Ticket to Ride” “Yesterday” “A Hard Day Night” “Yellow Submarine”, “Let It Be” and of course “Hey Jude” amongst the many audience favourites. Don’t miss this audience interactive show when it comes to Owen Sound!